Another BB Cream has hit the Indian market, and it seems to have all the benefits & sun protection we'd need during our scorching summers. First of its kind Pond’s white beauty BB+Fairness Cream that instantly covers spots and lightens skin from within to give you radiant skin all day. 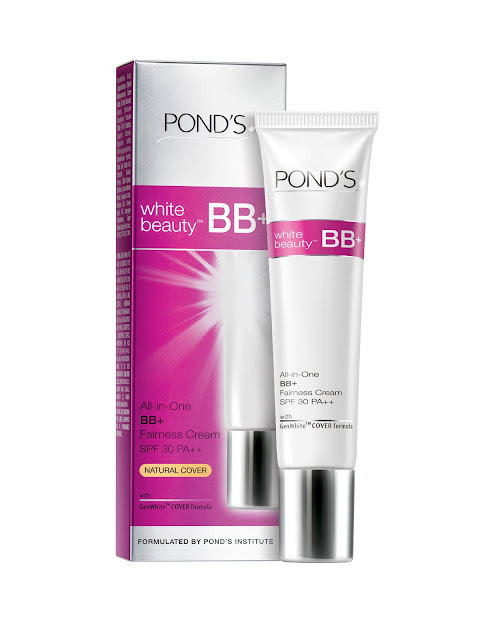 With the Pond’s Institute’s dual-acting sophisticated skin lightening GenWhite™ Cover Formula and SPF 30 PA++ advanced sunscreen protection, Pond’s white beauty™ BB+ fairness cream not only improves skin texture and effectively lightens skin from within but also provides Natural looking instant glow for Indian skin. Clinically proven to lighten skin tone and reduce dark spots, GenWhite™ Formula is enriched with a powerful mix of Vitamin B3, Vitamin E, Allantoin and advanced superior sunscreen protection. Advanced Superior Sunscreen Protection SPF 30 PA++ SPF 30 PA++ - Helps to protect against skin tanning and photo ageing. does anyone know when its hittin stores? it's hitting the stores in April end.